One of the most popular tourist destinations on the African continent, the Western Cape incorporates a huge variety of opportunities for the discerning visitor. 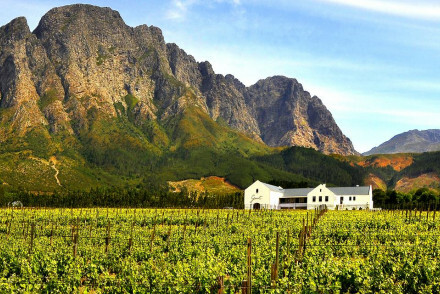 From the lively city life of the picturesque Cape Town to the rural vineyards - we'd recommend you stay in Franschhoek and Stellenbosch, only a short drive away, there is no limit to the amount of time one can spend perusing the wonders of the Cape. 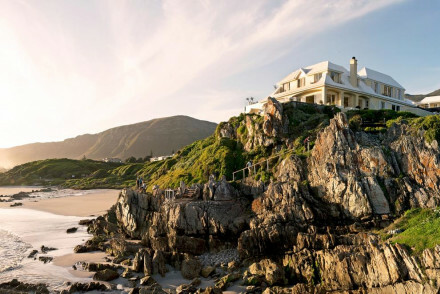 We’ve selected the best places to stay in the Western Cape to see it all! The area is also the birthplace of some of the most influential social movements in modern history and testaments to these pivotal struggles can be found throughout the Cape, from Mandela’s prison on Robben Island to the District Six Museum in Cape Town. Climb Table Mountain from Cape Town to reach the summit and bask in the breath-taking views from the top. If you’re feeling particularly energetic the trails are also good for an early morning run! Robberg Nature Reserve is a fantastic coastal park through which you can hike whilst keeping the sea in sight! A great place for some gentle exercise. Tenikwa Wildlife Awareness Centre is far from a zoo. The centre was set up to rehabilitate injured wildlife and it now sponsors conservation around South Africa. The perfect place to see some of the country’s most impressive wild life whilst supporting its longevity. The beautiful bay of Knysna Heads is best visited by boat as this opens up the possibility of whale spotting (season dependant). Stunning scenery and a terrific place for a day trip. The Kirstenboscåh National Botanical Garden sits on the Eastern slopes of Table Mountain and is renowned for being one of the most magnificent botanical gardens in the world and this reputation is well-earned. Rare and endangered species live in this vibrant paradise and there are also a few restaurants for when your legs need a break! 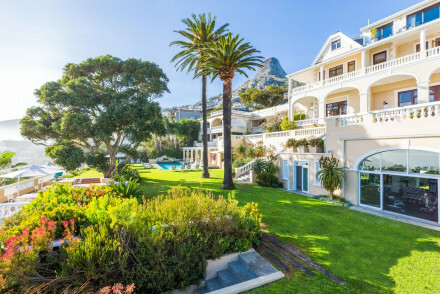 Use our guide to the best places to stay in the Western Cape and start to plan your South African tour. 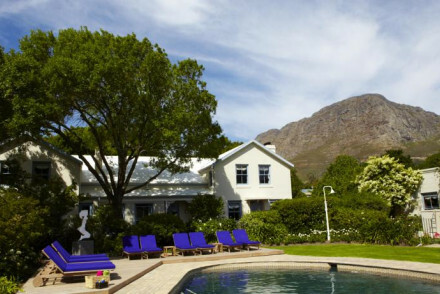 La Residence, Franschhoek is as good as it gets. Littered with antiques and palatial decoration, there is no limit to indulgence. 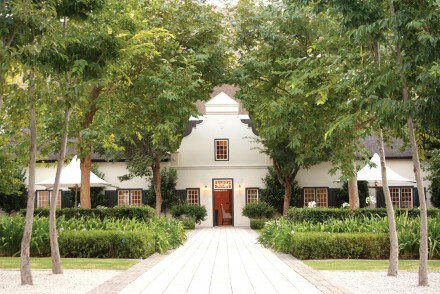 Le Quartier Francais (Franschhoek) houses a restaurant extremely popular with locals and visitors alike. Private pools, colorful decoration and a friendly reception. 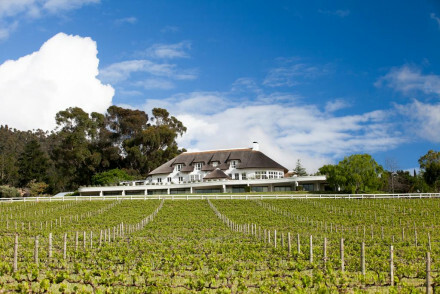 Steenberg Hotel is a luxury vineyard hotel in the picturesque Constantia Valley, about 30 minutes from central Cape Town. Popular with everyone from couples to golfers, families and friends – as well as locals. 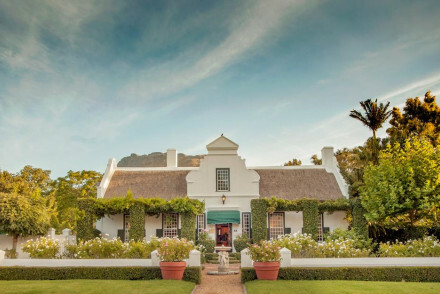 The Vineyard Hotel is a Cape Country house on six acres of stunning gardens, in Newlands. The sleek and chic decor exudes calm, with white on white and clean lines. A one of a kind retreat with phenomenal spa facilities and gourmet cuisine. A oasis of calm, ten minutes from the center of Cape Town. 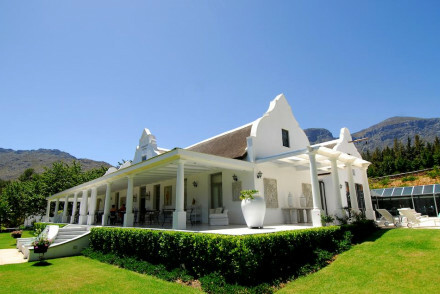 Basse Provence Country House (Franschhoek) boasts traditional architecture and comfortable suites, great for families. 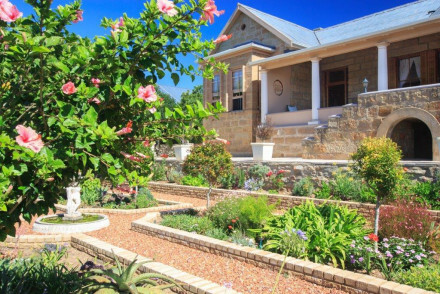 An African Villa is a delightful Victorian guesthouse in the central Tamboerskloof District. Some of the 'African Zen' contemporary rooms boast balconies with views of the iconic Table Mountain. 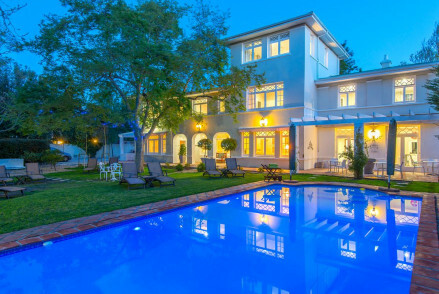 Within walking distance from some of Cape Town's best restaurants and bars. A stylish city escape. 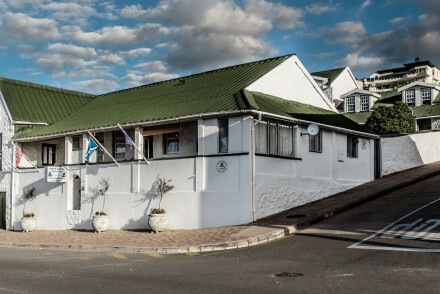 Cape Heritage Hotel - a cool and comfy townhouse hotel with a central location. Ideal for exploring Cape Town and enjoying the city’s foodie scene, with many top spots just a stone’s throw from the hotel. 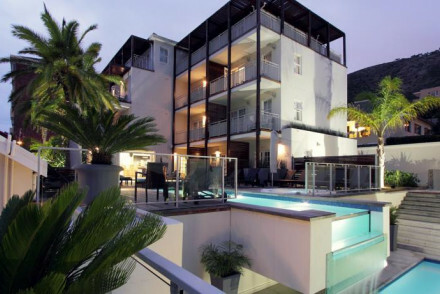 Glen Hotel is our favourite gay-friendly hotel in Cape Town in Sea Point, a wonderful location near all the best restaurants and bars. Charming white on white suites with splashes of colour. Casually chic with fantastic personalised hospitality. La Petite Ferme (Franschhoek) is within reach of the town but also offers fantastic views and a highly renowned restaurant. 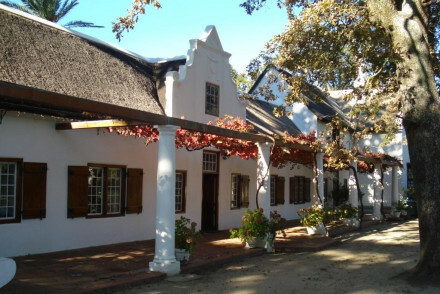 Rickety Bridge Manor House (Franschhoek) sits within Rickety Bridge Wine Estate and has a particularly intimate feel. Beautiful traditional architecture and an outdoor pool, not to mention a great name! 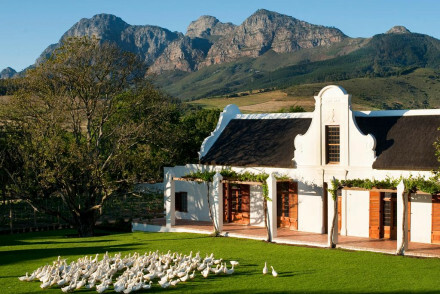 Leeu Estates (Franschhoek) lies in the middle of a beautiful vineyard and is one of the country’s most luxurious hotels. Colonial architecture and divine dining. 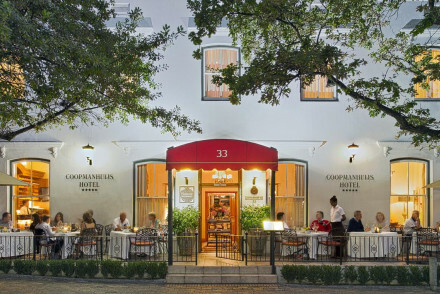 Holden Manz (Franschhoek) lies between the Franschhoek and Stony Brook rivers and is renowned for its fantastic food. There’s also a great outdoor pool to bask in. 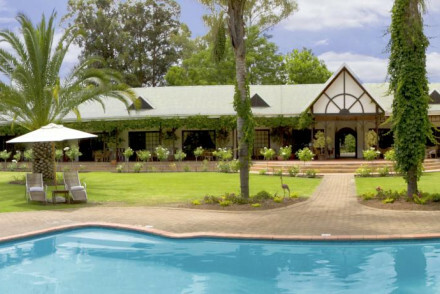 Grand Dedale is a peaceful oasis amidst the vibrant green vineyards near Wellington. The old manor house has been decorated in a chic and luxurious manor. 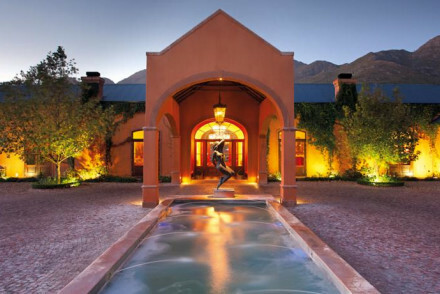 The rural Mont Rochelle (Franschhoek) is well known for its restaurant and comprehensive spa. Le Franschhoek Hotel & Spa (Franschhoek) has light and airy bedrooms, movie star mirrors, a fantastic spa and simple but delicious menu. 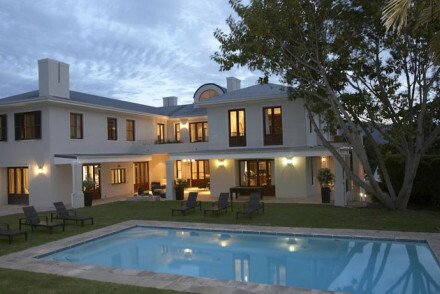 21 Roux Street (Franschhoek) only has three suites and will make you feel right at home. In amongst the well-kept garden lies a beautiful swimming pool to cool off in. 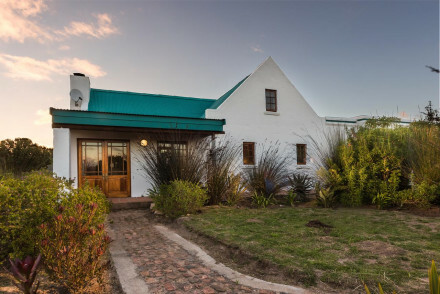 Bartholomeus Klip Farmhouse is a spectacular property in the Elandskloof Nature Reserve. With elegant and spacious accommodation - guests can either book themselves a double room, a suite or take out the entire self-catering Olive House! Lounge by the pool and indulge yourself at dinner. Truly special. 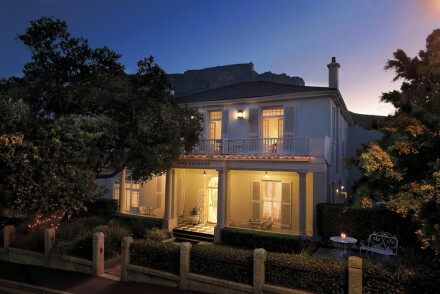 Cape Cadogan is a boutique Georgian property situated in an upmarket neighbourhood and boasting Table Mountain as a spectacular backdrop. Chic rooms are light and airy with traditional features washed with clean soft hues. Quiet terraces and a swimming pool are ideal for unwinding after a day's exploring. Charming. 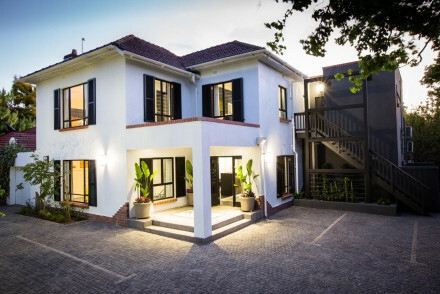 Just on the outskirts of the town, Majeka House (Stellenbosch) features modem architecture and all the comforts associated with it. Beautiful furnishings, a superb spa and plenty of swimming pools make this an ideal spot from which to get into town. It’s also conveniently close to the vineyards so a drink is never far away! 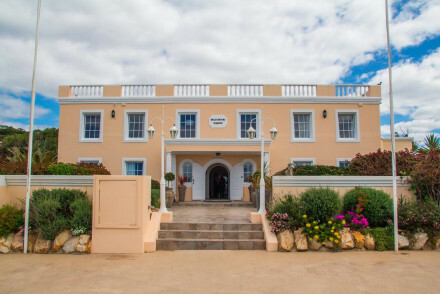 Hlangana Lodge is a great base to explore the surrounding Oudtshoorn town with its notorious Cango caves and beautiful countryside. The hotel is quiet and comfortable with a good pool and lovely gardens. 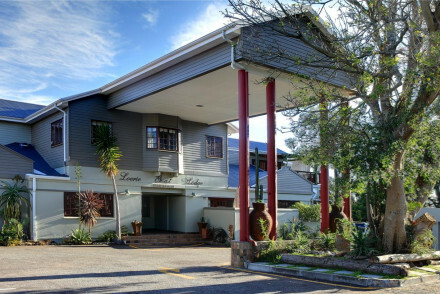 The Robertson Small Hotel (Robertson) is five star luxury in this small town at the heart of the wine region. The perfect place from which to visit Robertson's vineyards and try the local wine in the hotel bar at the end of a long day! 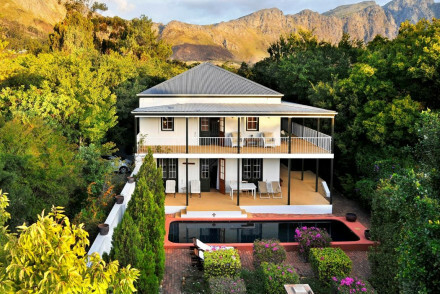 Akademie Street (Franschhoek) is a collection of private cottages and boutique suites located on the edge of the town. A home from home with notorious English breakfasts, hot tubs and plenty of pools! 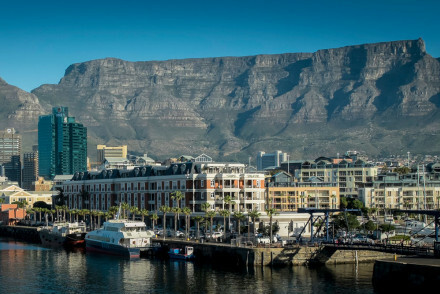 Cape Grace Hotel is a beautiful hotel in the centre of Cape Town’s vibrant V&A Waterfront. Excellent service, sumptuous classic interiors, a great restaurant, trendy bar and its own spa. There are magnificent views of Table Mountain and the marina which can be enjoyed from the privacy of your own balcony. Hawksmoor House in Stellenbosch is a charming hideaway outside of Stellenbosch with views of Table Mountain to the South. Traditional architecture, antique furnishings and a great pool make this an ideal spot for relaxation. Very family friendly. 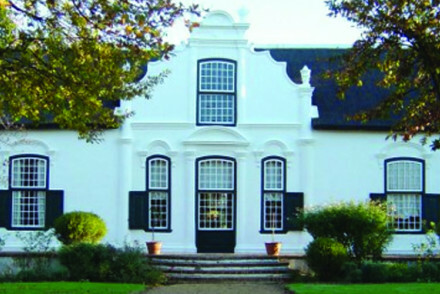 Lekkerwijn (Franschhoek) features beautiful traditional architecture where it sits nestled between vineyard clad valleys. Choose between one of the rustic rooms in the main building or a chic cottage all to yourself in the charming grounds. Very family friendly. 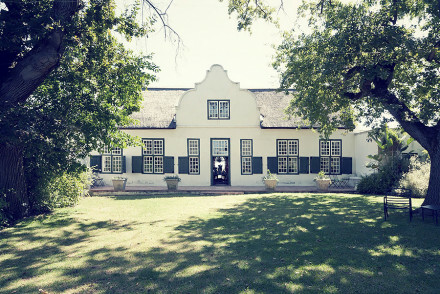 Babylonstoren (near Paarl) is an old Dutch farm that has since been renovated into a beautiful and peaceful rural escape. Fireplaces litter this exquisite hotel and their restaurant boasts ingredients fresh from their organic garden! 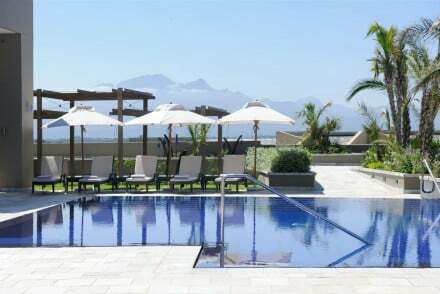 Arabella Hotel & Spa (Hermanus) has something for everyone, a renowned golf course and a relaxing spa! Modern architecture with touches of African decor, the estate is supremely comfortable and has all facilities imaginable. There are even Jacuzzis available on the private balconies! 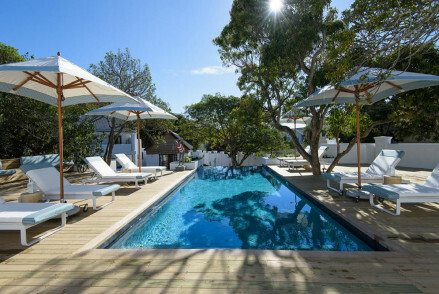 Strandloper Ocean Boutique Hotel has only 14 private suites so book fast! Amazing sea views and simple designs make this a beach side paradise. Renowned for its friendly staff, good wine and delicious food. 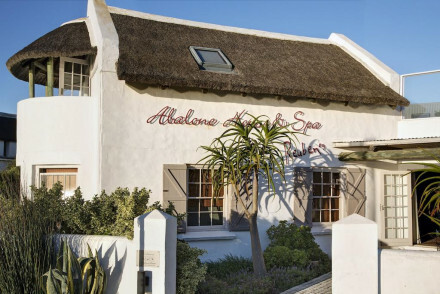 Abalone House & Spa (Bek Bay) sits in the coastal village of Paternoster and offers all the luxury you’d associate with the five stars its earned. 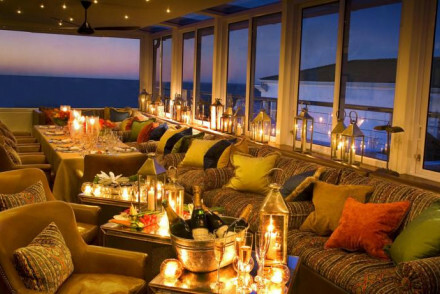 Great sea views, a fantastic restaurant and a hot tub on the roof, perfect for sundowners! 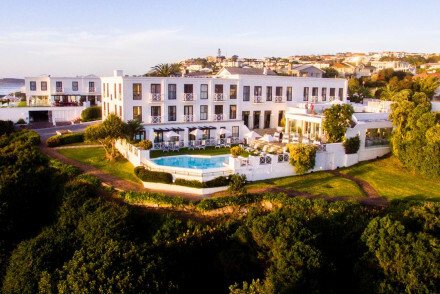 The Twelve Apostles Hotel - This classic and comfortable hotel is all about location with terrific sea and mountain views. Hourly shuttles mean it’s also well placed for the beaches at Camps Bay and the V&A Waterfront. 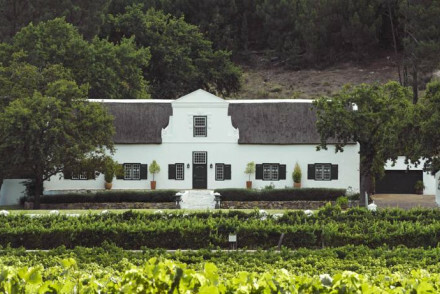 Cellars-Hohenort is an elegantly converted old manor house on a wine estate, on the slopes of Table Mountain. The sleek rooms are white on white with splashes of bold fabric, utterly chic! Spectacular views, award winning gardens, spa services and an extensive wine cellar in addition to the two award-winning restaurants will make it hard to leave. Blissful. 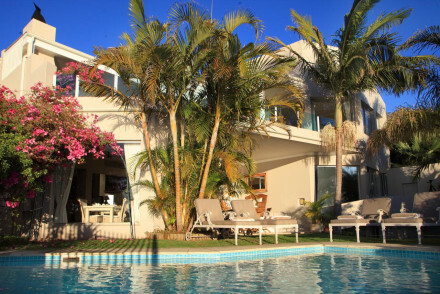 Alta Bay is a small stylish B&B with gorgeous airy suites with private terraces and wonderful views of the bay. Slightly off-centre - a charming place of relaxation for an intimate and low-key city break. 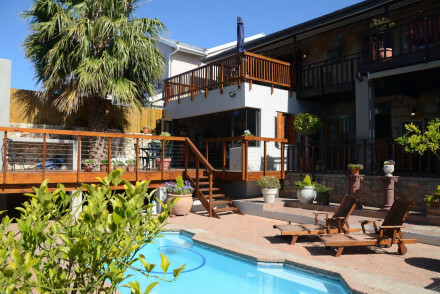 Kensington Place is a small stylish hotel in Higgovale on the Table Mountain foothills. 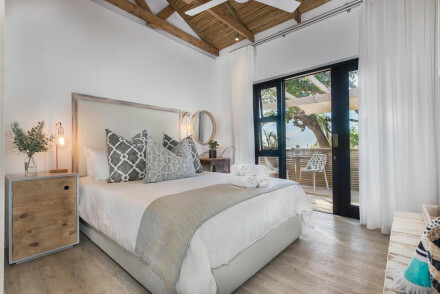 This intimate spot puts emphasis on peace and tranquility, each room comes with private balcony and most have phenomenal views of the city and bay. Check out nearby Kloof Street, Capetown's hottest spot for restaurants and bars. 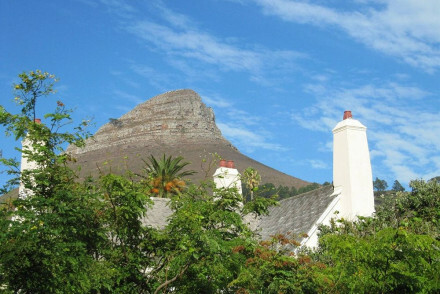 Welgelegen is a well-located and chic guesthouse in a leafy cul-de-sac of Cape Town. The elegant and comfy rooms are tastefully decorated and adorned with personal charm. An urban sanctuary for families or city visitors near to the best restaurants, bars and museums. 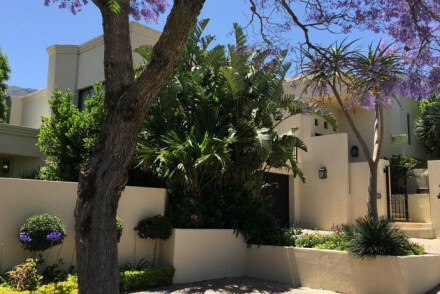 Nova Constantia Boutique Residence is an excellent boutique offering located down a leafy residential road in upmarket Constantia. Plush suites are decorated in crushed velvet and feature whirpool baths. The Premier Suite has its own hot tub. Enjoy a game of tennis or an afternoon swim. A scrumptious breakfast is included in the rate. If you'd prefer your own space, don't hesitate to visit our online partner Booking.com for a fantastic variety of properties throughout the region ensuring that there's something for everyone. Fly to Cape Town International Airport located only 20km (12 miles) from Cape Town, providing a large number of domestic connections and also serving several International carriers. Best time to visit - between October and March to get the best of the weather. 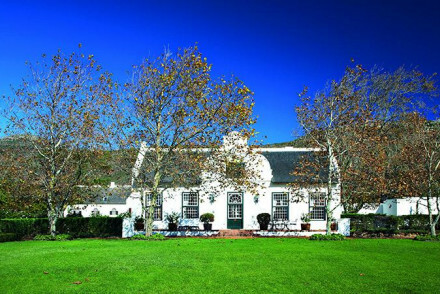 Forming part of the original 19th-century town of Herold, this quaint farmhouse is located just off the Montagu Pass. Simply yet traditional rooms are the height of comfort, but here it's all about the great outdoors. There's an inviting Tea Room popular with guests and cyclists alike. 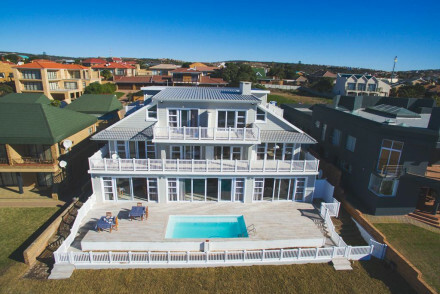 This four-bedroom guesthouse provides low-key living in Mossel Bay. Trendy interiors provide the perfect backdrop for this coastal getaway. Off-street parking, a fully-stocked kitchen, and open-plan living and dining areas provide homely comforts. A buffet breakfast is an added bonus. 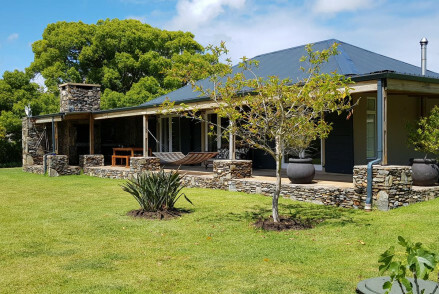 Nestled amidst the Fransmanshoek Conservancy area, Sandpiper's eight self-catering cottages provide a peaceful stay in the rustic fishing village of Boggomsbaai. Spacious, open-plan kitchen, living, and dining areas are ideals for families. Plenty of outdoor activities from birding to sand duning! This traditional looking guesthouse conceals the most charming boutique-chic interiors. White palettes are combined with soft lighting and furnishings. Choose from single, large doubles, and family accommodation - the largest with a kitchenette and private balcony. A home-cooked breakfast is served. Contemporary-chic accommodation at an excellent price. Family suites are available, and all rooms include tea and coffee making facilities and large, modern bathrooms. There's an inviting pool and an excellent breakfast spread in the morning. A short walk from the town of George. 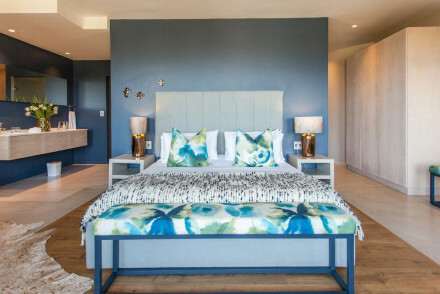 One of Mossel Bay's most popular picks this Scandi-style stay provides self-catering accommodation (with optional breakfast) with beautiful interiors. 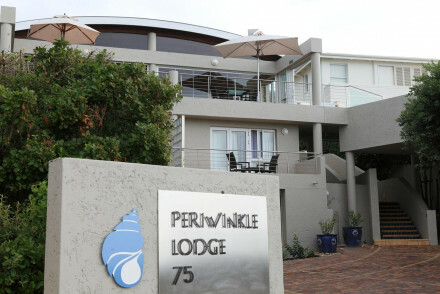 Right along the Garden Route, it boasts an excellent location within walking distance of the beach and shops. A great value family stay. Quaint, quirky, one-of-a-kind. Dating back to 1903 this six-bedroom hotel provides a comfortable stay with ocean views. Each room features hardwood floors, floral quilts, colourful curios, and en-suite bathrooms. A delicious home-cooked breakfast and afternoon tea are served. 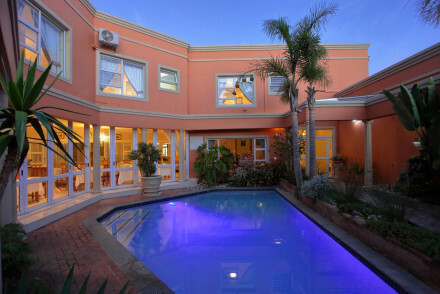 Luxury guesthouse accommodation with views across the picturesque Mossel Bay. Each of Le Port's four rooms is decorated with French shabby chic flair. Home-away-from-home living provides guests with every comfort. Outdoor dining overlooking the pool is a welcome treat. Dating back to 1880 this five-bedroom family home boasts a wraparound balcony to make the most of its coastal views. Heritage style interiors create a homely feel, whilst roll-top baths add to the charm. There's a pool, a proper South-African braai set-up, plus a hearty English breakfast is served. 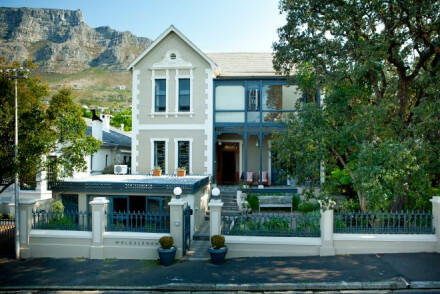 Our favourite gay-friendly hotel in Cape Town in Sea Point, a wonderful location near all the best restaurants and bars. Charming white on white suites with splashes of colour. Casually chic with fantastic personalised hospitality. Views - Wonderful views of Lion's Head and the Atlantic Ocean. Great walks - The Glen runs a half day tour of Cape Town's art galleries, trendy bars, museums, restaurants and heritage sights. Local markets - Check out Main Street for some great shopping. One of a kind. 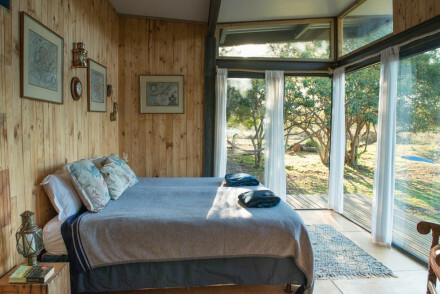 This three-bedroom, family-owned eco-hotel is inhabited by numerous animals. A peaceful place, surrounded by beautiful countryside each of its retro rooms are brimming with refurbished furnishings and bucolic views. The Villa Villekula restaurant is very popular with guests. Country Escape - Surrounded by greenery and farmyard animals - you're not in the town here! This charming owner managed guest house has just two-bedrooms but bundles of charm. With a sunny terrace, inviting pool, and beautifully decorated rooms its a very comfortable stay. Tea and coffee making facilities are available, as is a delicious English Breakfast each morning. Value chic - Great value, stylish accommodation. Adults only. 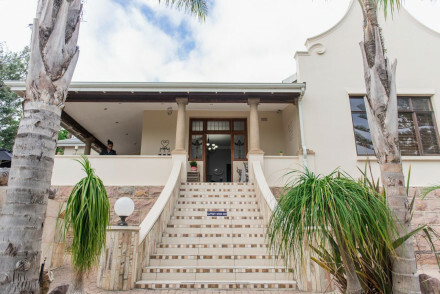 Popular B&B within the town of Wilderness, an easy drive from both The Waterfront and Victoria Bay. 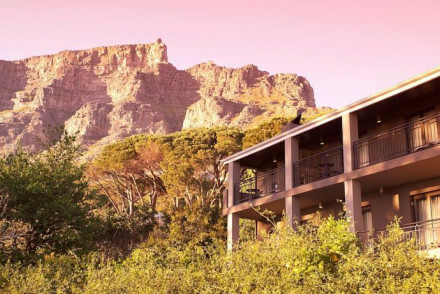 Stylish suites include views of Table Mountain. All include tea and coffee making facilities, en-suite bathrooms, and the best have balconies. An excellent breakfast spread is included. Quaint little two-bedroom cottage set amidst manicured gardens, against the backdrop of the magnificent Outeniqua Mountains. Ideal for families, this open-plan living includes indoor and outdoor lounge and dining areas, as well as a fully-equipped kitchen. Plenty of activities nearby. 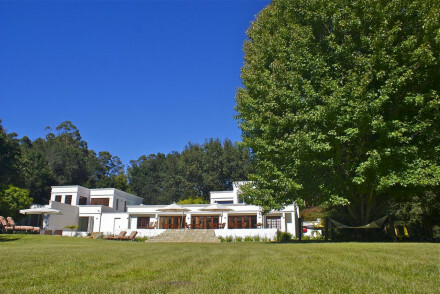 An excellent boutique offering located down a leafy residential road in upmarket Constantia. Plush suites are decorated in crushed velvet and feature whirpool baths. The Premier Suite has its own hot tub. Enjoy a game of tennis or an afternoon swim. A scrumptious breakfast is included in the rate. Fishing - Catch a fish supper in Hout Bay harbour. 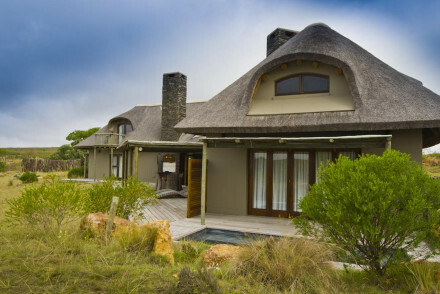 Sleek and stylish accommodation right on the edge of Keurbooms Nature Conservation Park. Its secluded location allows for stunning views and total tranquillity. Individual suites and cottages include kitchens, dining, and living areas, perfect for families. A bounty of sights in the area. The Garden of Eden! 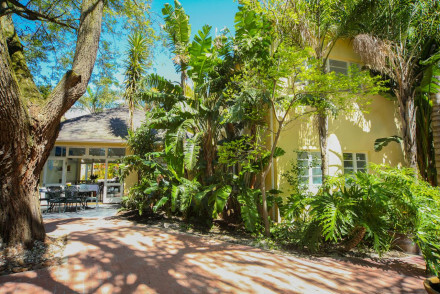 Nestled amidst 40 acres of manicured grounds, this colonial-style accommodation provides a most elegant stay in rural Edenbrook. Each of its rooms is filled with antique furnishings, complemented by modern bathrooms with roll-top baths. Excellent breakfast, a pool, and spa. A charming Provencal-style guesthouse offering gorgeous mountain and sea views. Simple yet elegant rooms feature white-on-white style with pine and cane furniture. Surrounded by pretty gardens, terraces and boasting a lovely pool. A laid-back base to explore the region from. Cool and comfy townhouse hotel with a central location. Ideal for exploring Cape Town and enjoying the city’s foodie scene, with many top spots just a stone’s throw from the hotel. Sights nearby - For a day trip, visit the infamous Robben Island, eight miles from the hotel. Great walks - No trip to Cape Town is complete without a trip up Table Mountain. Fishing - Take a fishing trip out from the Victoria & Alfred Waterfront. 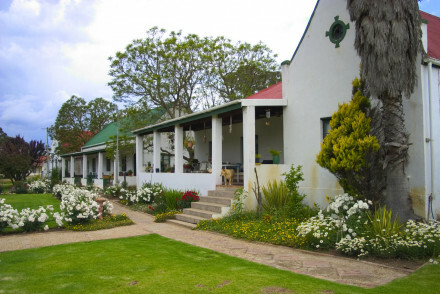 Charming three-bedroom guesthouse, located on a working dairy farm. Owners Sandra and Michael are excellent hosts: "nothing is too much trouble". 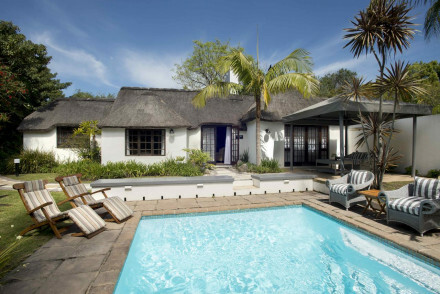 Enjoy a homemade breakfast, and soak up the South African sunshine from the saltwater pool. Chic suites and homely interiors make for a comfortable stay. With quaint and colourful interiors, this pet-friendly hotel is within walking distance of town and the beach. Dotted around picturesque cottage gardens each of its characterful rooms provide a comfortable stay. Guests can soak up the sun by the saltwater pool and look forward to a superb breakfast. 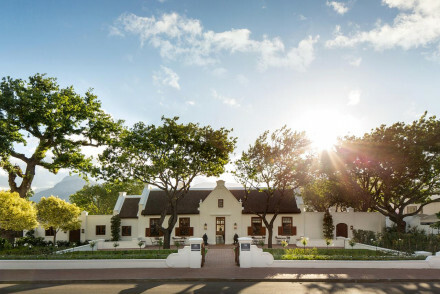 A boutique hotel set on an oak-lined street in the centre of the pretty town of Stellenbosch. The Victorian exterior opens onto elegant contemporary interiors. Light and spacious with geometric patterns and sharp lines. Surrounded by pretty gardens and offering easy access to the town's attractions. 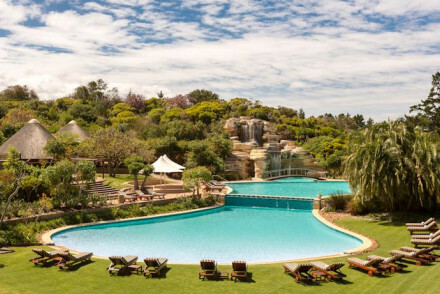 Designed for indulgence this hotel boasts an on-site 18-hole golf course, a bounty of spa packages, as well as lavish interiors and fine-dining. Enjoy breakfast in Cucina and sundowners in The Clubhouse. 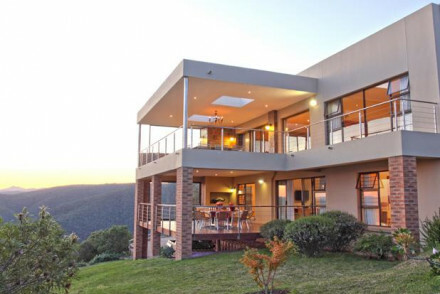 Perfectly located for exploring The Garden Route. Total relaxation - Lavish suites, a spa, golfing, and fine dining: bliss! 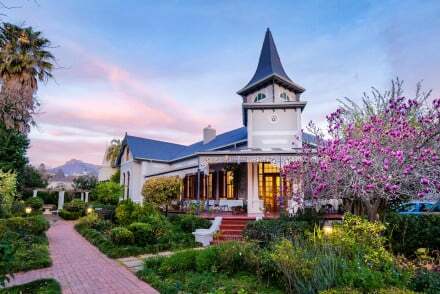 A delightful Victorian guesthouse in the central Tamboerskloof District. Some of the 'African Zen' contemporary rooms boast balconies with views of the iconic Table mountain. Walking distance from some of Cape Town's best restaurants and bars. A stylish city escape. 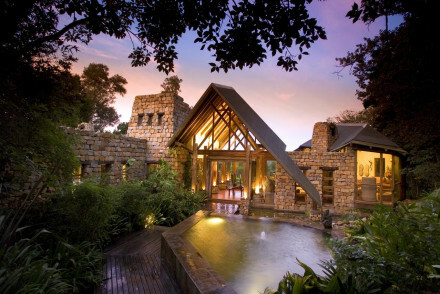 Unequivocally luxurious, Hunter's Country House is a fine example of a wilderness lodge. In the rooms, no detail has been overlooked. Capacious four-posters beds command the room and lavish bathrooms include roll-top baths. Family cottages include their own pool. Fine dining, spa treatments. Divine. 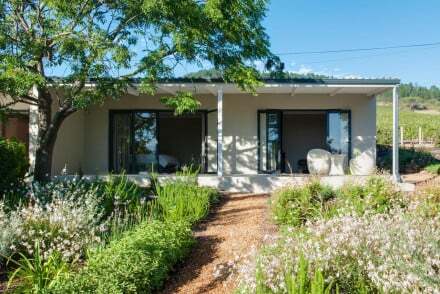 This peaceful and homely guesthouse set in exotic landscaped gardens makes the perfect base for exploring Oudtshoorn, the Cango Caves and surrounding area along the Garden Route. Sights nearby - Explore the nearby Cango Caves. You couldn't ask for a more convenient location, moments from the beach. Choose from self-catering apartments to B&B accommodation. Contemporary style rooms include tea and coffee making facilities and en-suite bathrooms. A continental breakfast is served. 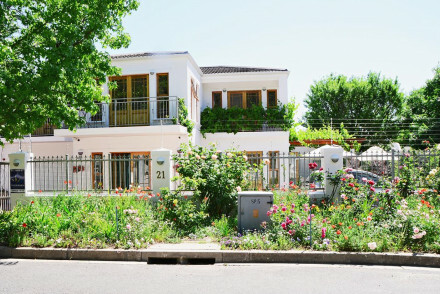 Well-located and chic guesthouse in a leafy cul-de-sac of Cape Town. The elegant and comfy rooms are tastefully decorated and adorned with personal charm. An urban sanctuary for families or city visitors near to the best restaurants, bars, and museums. Families - Perfect location for checking out Cape Town with all the family - plus the nearby De Waal Park will keep the kids happy! Local markets - Visit the Pan African Market and Greenmarket Square for great souvenir shopping. Great walks - Under 13 km to the Kirstenbosch National Botanical Garden. Sights nearby - The Iziko South African Museum is just minutes away. Both stylish yet homely this small guesthouse is a chic spot set near the Jonkershoek Nature Reserve. Impeccably styled rooms feature contemporary fixtures, boldly patterned fabrics and the best has a free-standing bath. The living areas are equally well designed. A hip choice. 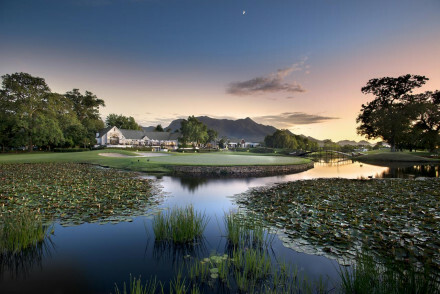 A coastal country estate and relaxing haven - known for its golf course and award winning spa Arabella's caters to all tastes. Rooms are modern with African accents, private balconies and huge jacuzzi baths. There are indoor and outdoor pools plus fine dining options. Relaxing and indulgent. 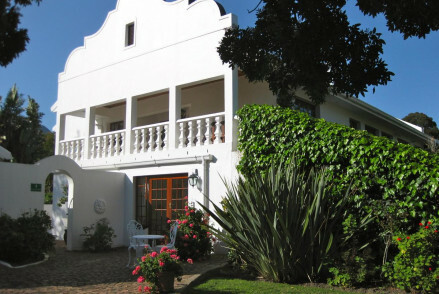 A well appointed guesthouse in the heart of Stellenbosch wine country. Four bright rooms have a homely (yet chic) feel with white walls, terracotta tiled floors and lovely garden views. Indulge on hearty breakfasts, take a cooling dip in the pool and enjoy sampling local wines on the leafy terrace. Local exploring - With easy access to Stellenbosch as well as award winning wine estates and the surrounding mountains there's plenty to do! 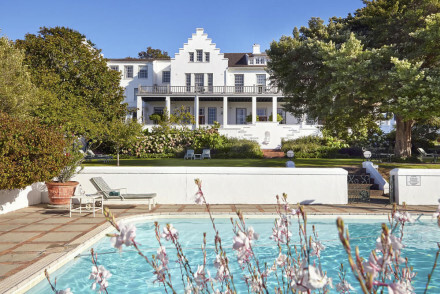 Restored Cape Dutch guesthouse offering luxurious suites in an elegant building surrounded by lush gardens with a relaxing outdoor pool. 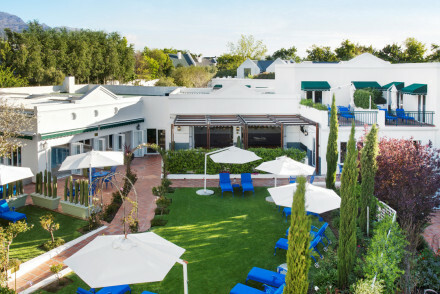 Complimentary breakfast included and served on the pretty terrace; and there are many dining options in the picturesque town of Stellenbosch, a cultural hotspot. 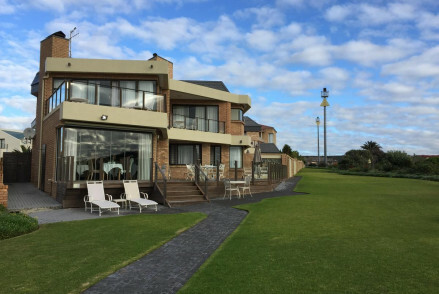 With its stunning coastal location, Marine Manor on the Beach is a perfect stay for families and couples. Suites, decorated in light and breezy nautical palettes, boast unrivalled sea views and enormous en-suite bathrooms. Dining is superb plus there are plenty of excellent restaurants close by. 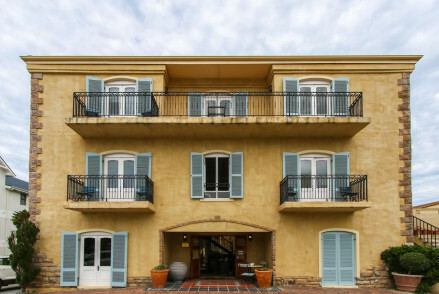 Stunning accommodation set within a winery in an area known for its outstanding produce. Think high-luxury with elegant contemporary interiors overlooking breathtaking mountain views from large (well-placed) windows. Explore the nearby nature reserve and a wine sampling session is naturally a must! 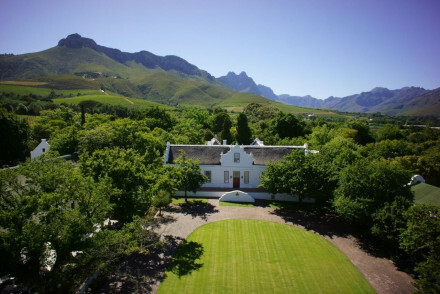 Hawksmoor House is set on a farm along the Stellenbosch Wine route. 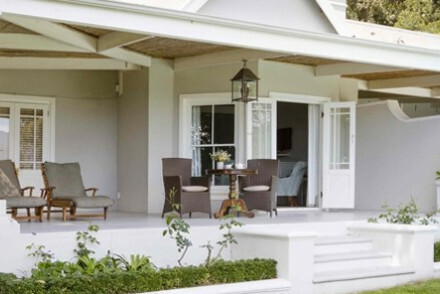 This tranquil property offers chic, elegant accommodation featuring antique furnishings. Relax by the pool soaking up the sun and taking in the views of Table Mountain! A fantastic country retreat offering hearty breakfasts. 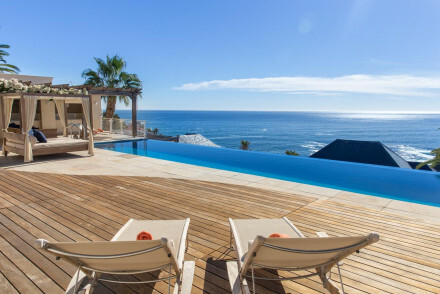 Boasting panoramic views of the Bahia Formosa Bay and the Tsitsikamma Mountains, sit out on the terrace and watch whales passing by in the season. Bright and airy interiors make the most of those vistas and an excellent breakfast is served out on the terrace. 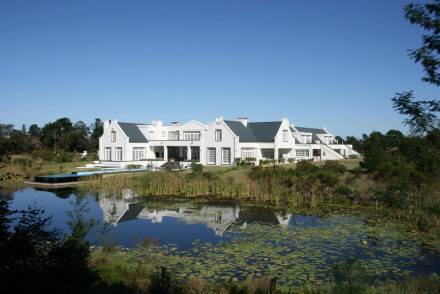 One of Plettenberg Bay's most popular stays this 12-bedroom Georgian manor house enjoys a stunning location, overlooking Keurbooms River lagoon; ensconced by the Tsitsikamma Mountains. A full English or continental breakfast is served out on the terrace of their Lemon Grass restaurant. An elegant country retreat this seven-bedroom property boasts a showstopper of an infinity pool as well as wrap-around views. Each of its rooms is modern and spacious with tea-and-coffee-making facilities and large bathrooms. 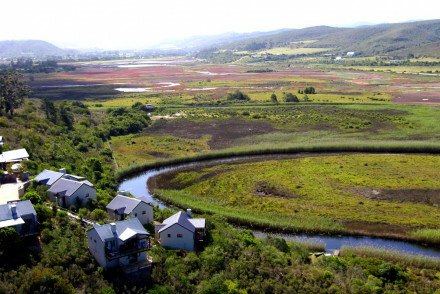 Nature's Valley and Plettenberg Bay are a short drive away. A great stay. 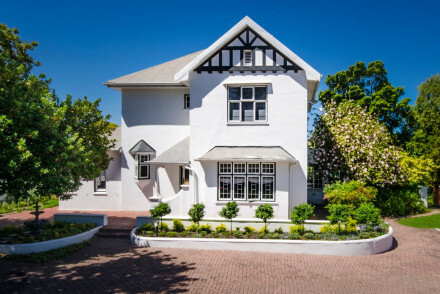 A charming boutique property in the heart of Stellenbosch. Cosy yet chic rooms feature polished wooden floors, crisp white linen and modern bathrooms. A garden pool is the perfect place to come and unwind besides and indulgent home-cooked meals are served. A lovely home away from home. 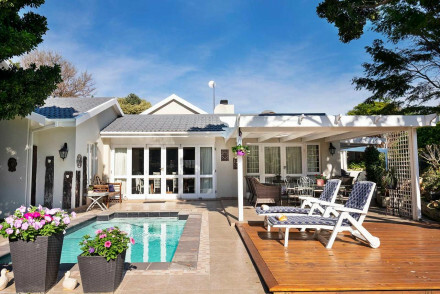 A family run luxury guesthouse set in the heart of the charming town of Stellenbosch. Elegant rooms are simply dressed with soft grey and white hues, large windows and private terraces. The expansive leafy garden and swimming pool are a real draw. A coastal hotel comprising of just 14 secluded suites all boasting spectacular sea views. Design has been kept simple with white washed walls, cleanly designed furniture and luxurious bathrooms. Staff are ever helpful, the cuisine delicious and wine collection excellent. A chic escape. Total relaxation - A coastal property designed for simply unwinding. Great walks - Take long walks along the miles of stunning beaches. Kayaking - Take out a kayak and visit the penguin colony. A super stylish and fun guest house. Rooms are comprised of both dorm and private accommodation - but the entire hotel breathes a youthful spirit. Modern beach-chic interiors, a great restaurant and very popular 'Happy Hour' makes it a winning cocktail. Walking distance from Plettenberg Bay. 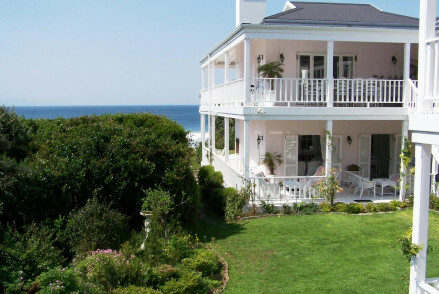 This rose-covered white-wood colonial structure enjoys far-reaching views of the ocean. 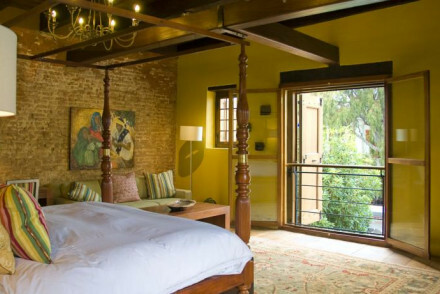 Quaint rooms, decorated in soft hues, floral motifs, and filled with antique pieces and wicker furnishings. Tea out on the terrace is utterly relaxing, followed by a stroll to the beach. Bliss. 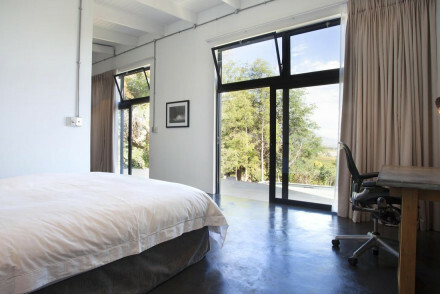 A stylish hotel set on a working protea farm on the outskirts of picturesque Stellenbosch. Bright rooms benefit from simple minimalist style, fabulous views and exceptionally large and indulgent bathrooms. Take long walks before returning for a dip in the lovely infinity pool. Rural perfection. 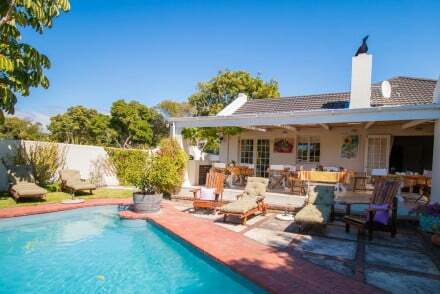 A Cape Country house on six acres of stunning gardens, in Newlands. The sleek and chic decor exudes calm, with white on white and clean lines. A one of a kind retreat with phenomenal spa facilities and gourmet cuisine. A oasis of clam, ten minutes from the center of Cape Town. Spa breaks - The international Banyan Tree Resort’s Angsana Spa offers unique experiences from highly trained therapists. Restaurant - Award-winning Myoga restaurant. Fun, modern hotel featuring beautifully upholstered furnishings, state of the art bathrooms and statement murals and wallpapering. The hotel has a total of four pools plus a relaxing spa and hammam. Its Makaron Restaurant is famed for its superlative cuisine. Prime wine country, foodies will love. Local markets - tellenbosch Organic Farmers Market has a superb collection of fine foods. A small stylish hotel in Higgovale, on the Table Mountain foothills. This intimate spot puts emphasis on peace and tranquility, each room comes with private balcony, most with phenomenal views of the city and bay. Check out nearby Kloof Street, Capetown's hottest spot for restaurants and bars. City Style - An elegant hotel within range of all the trendy sites of Capetown. Views - Fantastic views over Table Bay. Restrictions on children - No children under the age of 12 are accepted. 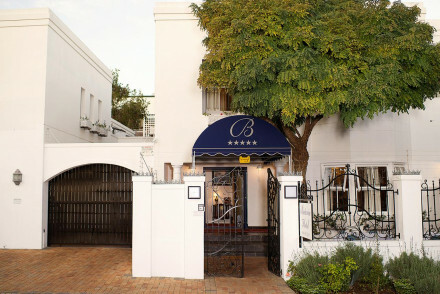 A stylish small B&B with gorgeous airy suites with private terraces and wonderful views of the bay. Slightly off-centre - a charming place of relaxation for an intimate and low-key city break. Views - Wonderful views of the Bay. Restrictions on children - Babies and children over 6 are welcome. Sprawling suites are decorated in fashionable prints and deep hues. Boasting far reaching views across the bay there is fine dining at the restaurant and an inviting bar serving tempting cocktails. Take in the pool, spa, or begin the day with a session in the gym followed by an indulgent breakfast. 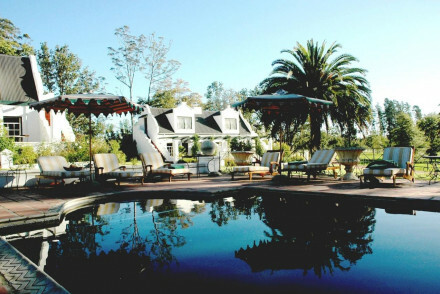 Robertson's only 5* hotel, this Victorian design property offers a slice of indulgence in the heart of wine country. The chic light-filled rooms are furnished with an effortless elegance and charm. Relax with a drink at the EM bar and try out their wide variety of wines. A peaceful spot! Foodies - The Small Restaurant serves simple, sophisticated, seasonal Italian-inspired dishes. 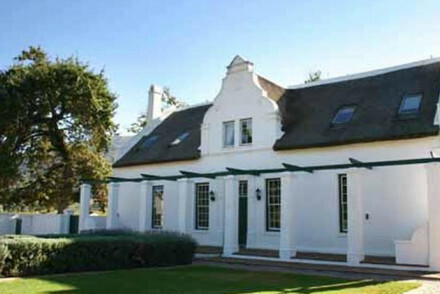 A classic example of a Cape-Dutch style home, this property offers idyllic country living. Both B&B and self-catering options are available but with home-made bread on the menu in the morning, we'd recommend the former. Spacious rooms feature modern bathrooms and pastoral views. A peaceful stay. 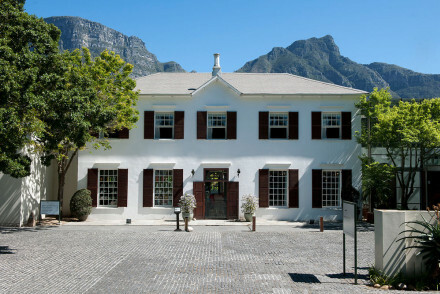 A boutique Georgian property situated in an upmarket neighbourhood and boasting Table Mountain as a spectacular backdrop. Chic rooms are light and airy with traditional features washed with clean soft hues. Quiet terraces and a swimming pool are ideal for unwinding after a day's exploring. Charming. 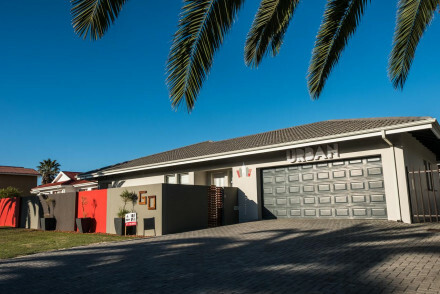 Local exploring - Set in a swanky Cape Town neighbourhood and within walking distance of many of the city's main attractions. Great walks - Take a sunset walk along the nearby Clifton Beach. Six charming guestrooms, decorated in nautical hues and themes, boast beautiful sea views. An excellent breakfast, of fresh fruits, pastries, and a full English breakfast, is served. Spend an afternoon lounging by the infinity pool, or take a walk into town, with its numerous bars and restaurants. 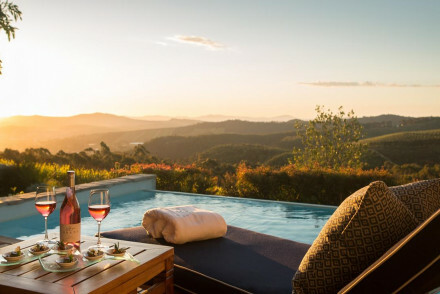 Contemporary suites set amidst rolling hills on a picturesque wine estate. Spacious and secluded the accommodation offers simple classic style, think: soft hues, modern bathrooms and floor to ceiling windows. 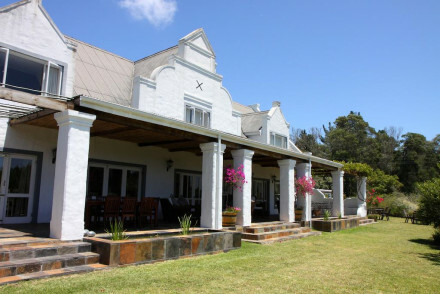 Complete with gourmet restaurant and plenty of opportunity to taste the estate's produce. Nestled upon a cliff-edge this hotel offers modern, spacious interiors decorated in nautical palettes of sky and sea. Rooms are wonderfully spacious, with the best including sea views and capacious baths. Choose from self-catering options and some excellent spa treatments. An indulgent stay. 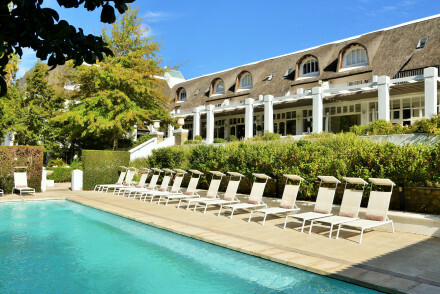 Luxury vineyard hotel in the picturesque Constantia Valley, about 30 minutes from central Cape Town. Popular with everyone from couples to golfers, families and friends – as well as locals. 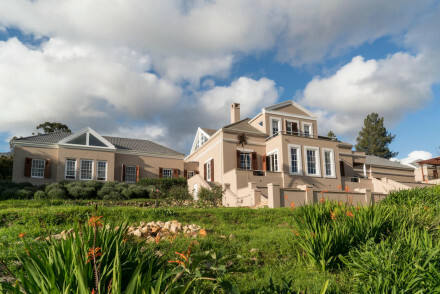 An elegantly converted old manor house on a wine estate, on the slopes of Table Mountain. The sleek rooms are white on white with splashes of bold fabric, utterly chic! Spectacular views, award winning gardens, spa services and an extensive wine cellar will make it hard to leave. Blissful. Wine tasting - As a restored winery-estate manor house they of course still have their own vineyards and hold tastings. Foodies - With two award winning restaurants and their own vineyard this is foodie heaven! Child friendly - All children are welcome. Babysitting services available. Garden - One of the finest privately owned gardens in the world. 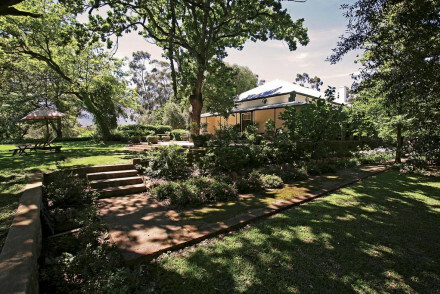 Situated in the wonderfully picturesque and verdant Ida's Valley just five minutes from Stellenbosch. Interiors have a classical french feel with large sash windows, antiques and original artworks. Breakfast is an indulgent affair, there's a gorgeous pool and always a warm welcome. Fabulous. Stylish, modern suites, each boasting sea views. Every room has unique decor with vibrant colours and large en-suite bathrooms. Private alfresco dining makes for a romantic evening and the cuisine is exemplary and all locally sourced. A great place to stay in a superb location. Beach Life - Rooms boasting seaviews remind you that you're never too far from the beach! 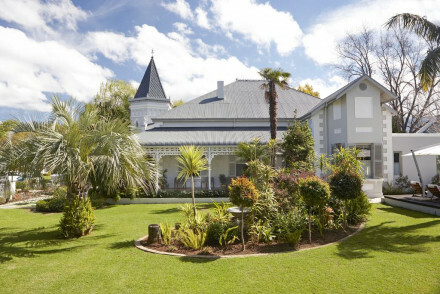 A classical 19th century guesthouse in the heart of historic Stellenbosch. Elegant interiors feature a choice selection of antiques alongside fireplaces, chandeliers and wooden floors. With a peaceful terrace, swimming pool and 5-star service this is a haven of relaxation. 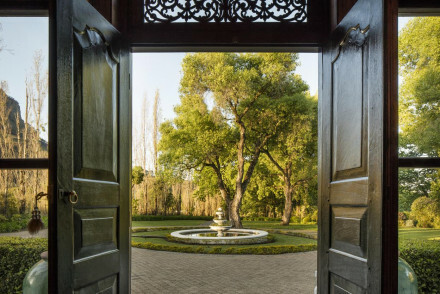 Grand Dedale enjoys a splendidly peaceful location nestled in a valley on the 380 hectares of Doolhof Wine Estate. This restored manor house offers chic boutique accommodation, luxurious interiors and lovely bathrooms. Enjoy four course dinners of game and seafood. A top-notch country escape! Great walks - Head off on the two km River Walk or explore Limietbeg Nature Reserve's nine hiking trails! 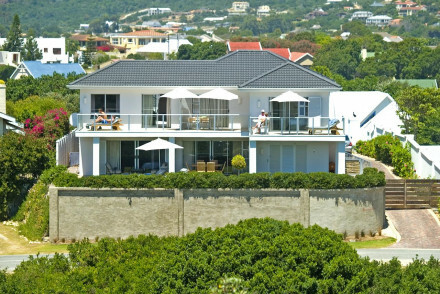 Bright and contemporary, enjoying far-reaching views across Plettenberg Bay. Choose from doubles, family suites, and cottage accommodation. Light-filled rooms are decorated in nautical hues of sand and sea. All include tea and coffee making machines and ensuite bathrooms. Just a walk from the beach. Stylish boutique accommodation in a Stellenobosch town listed building. Elegant rooms are light and bright and filled with a choice selection of antiques. For a small hotel this space has extensive facilities including a spa, swimming pool, wine bar and excellent South African restaurant. Fabulous! A modern hotel moments from the ocean is perfect for couples and families. Spacious suites are decorated in bright and airy nautical palettes, the best boast unspoilt sea views. An airy living room is a perfect place to relax with a book or soak up the sun in the infinity pool. Very stylish. Utterly charming. Emily Moon River Lodge is filled with India, African, and Balinese interiors. This eclectic stay provides guests with a magical hideaway on the banks of the Piesang River. Open fires, al fresco dining, and home-cooked food all make this a winning stay. Outdoor activities abound. The ultimate leisurely getaway. With nearby golfing, an indulgent spa, and both a kids club and teenager's lounge, there is something for everyone. Plush suites are the height of luxury with soft furnishings and large ensuites. Enjoy a casual drink at The Club Lounge or fine dining at Henry White's. 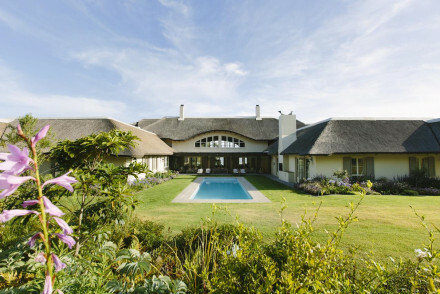 Tranquil, cosy thatched retreat with expansive suites, set in exquisite rolling gardens in the middle of the wine country. With top-notch restaurant and a relaxing pool, as well as many outdoor activities in the area for those wanting to explore. This classic and comfortable hotel is all about location with terrific sea and mountain views. Hourly shuttles mean it’s also well placed for the beaches at Camps Bay and the V&A Waterfront. Diving - Explore the Two Oceans or if you are feeling brave experience a shark dive. Surfing - Muizenberg Beach is considered one of the best surf spots in the world. Birdwatching - The surrounding coastline is great for birdwatching. Great walks - Take a hike up the spectacular Table Mountain. Full board - Price quoted is on a full board basis and includes two activities per day plus use of kayaks, bikes etc. 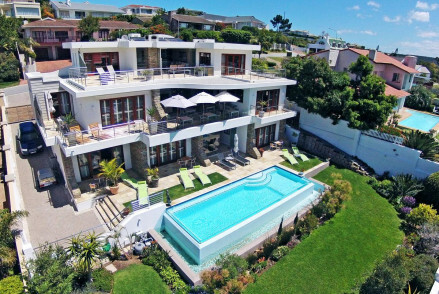 A luxury boutique hotel situated just minutes from the beach in the dramatic Bantry Bay area. Swish rooms are all white on white style with unbeatable sea views. Plump for a suite and benefit from the particularly indulgent bathrooms. Get pampered in the spa and easy enjoy easy access to the city. Old-world grandeur meets modern comfort at this historic wine estate. Individually styled rooms are fantastically decadent and downstairs each common area is grander than the next. Truly a haven, set amongst rolling vineyards and lush gardens with a state of the art spa and gourmet dining options! 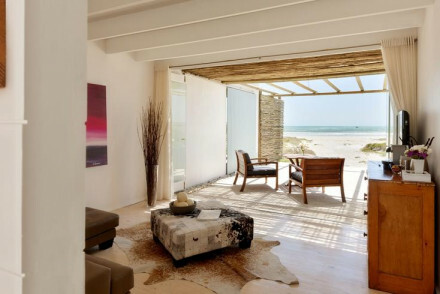 Abalone House & Spa is located in the coastal village of Paternoster, Western Cape. This 5* property offers ten boutique suites with some boasting splendid sea views. Enjoy scrumptious meals at the Reuben restaurant or a bottle of champagne in the rooftop jacuzzi! Wonderfully romantic. Birdwatching - There are over 200 species of birds in Abalone House's surounding area! Babylonstoren is a restored Cape Dutch farm set in the remote rural hamlet of Simondium. The elegant interiors offer various original details-think wooden farm doors, fireplaces and stone walls-contrasted with modern kitchens and bathrooms. Enjoy exquisite meals from the Organic gardens- heaven! Honeymoons - A truly uniue spot- unfussy elegance with a modern flare, spectacular views, unbeatable food and plenty of wine! Eco break - Everything grown in their incredible garden is edible and chemical-free- utter organic indulgence!! 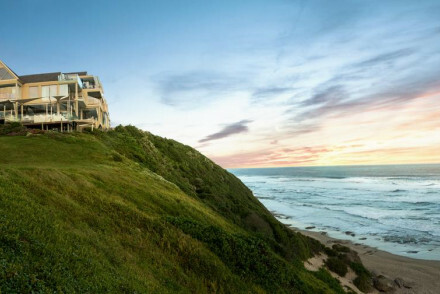 Providing Plettenberg Bay's ultimate five-star stay, this hotel pulls out all the stops. All of its exquisitely decorated rooms, boast unrivalled sea views. There is an indulgent spa, not one but two pools, fine dining, and plenty of activities to keep all ages happy. One of our top picks in Plett. A four-hour drive from Cape Town airport, this 26,000-acre private game reserve provides the ultimate Out Of Africa experience, in a convenient location. Rustic luxury lodges are perfect for couples and the family. There's a spa, fine dining, as well as enough activities to keep you busy for weeks! Luxury guesthouse located in The Crags with excellent equestrian facilities in the area. Individually decorated rooms are filled to the rafters with antique pieces, mix-and-match fabrics, ornate lamps and enormous beds. There's a spa and an inviting outdoor pool, plus acres to be explored. Families - There is so much to get packed into your stay here. Children will love it! A 13-bedroom Edwardian mansion house overlooking the dramatic Bantry Bay. Fine dining, wine tasting, an impressive art collection, and a team of impeccable staff ready to help you with your every need. Bedrooms are decorated with plush fabrics and lots of extras! A gorgeous stay in a great location. 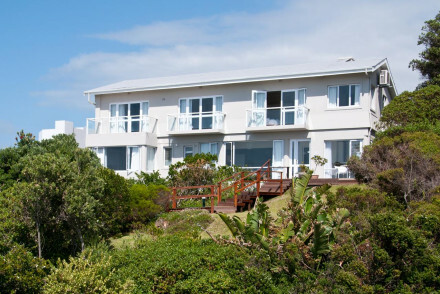 Former family owned holiday home turned hotel Birkenhead House is the address in Hermanus for whale watching. A two-hour scenic drive from Cape Town it is well worth the trip. On brand colourful interiors courtesy of The Royal Portfolio it is the perfect family holiday or romantic retreat. 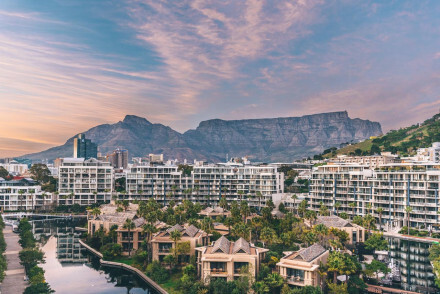 Balancing convenience and luxury, this is the ultimate urban resort with an enormous pool, award-winning spa and fantastic views of the iconic Table Mountain. Boasting three gourmet restaurants and mere steps from the hip V&A Waterfront's shops and bars, with lots on offer for kids too- a real gem! A beachfront boutique hotel with simple yet elegant design and interiors furnished with stylish decor and artworks. Featuring pretty gardens surrounding the pool, easy access to beaches and an indulgent spa. Spend days enjoying leisurely walks and seaside activities. A relaxing stay. 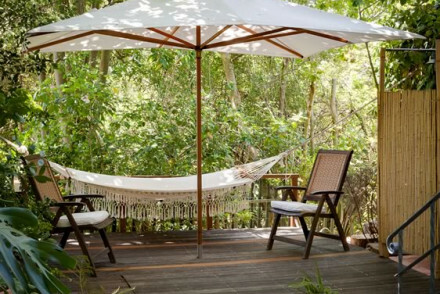 Utterly magical treetop accommodation just 10km from Plettenberg Bay. Perfect for romantics and families alike, these luxury suites offer luxury at new heights. Sumptuous interiors, indulgent dining, and plenty of activities nearby. Enjoy massage in-room as you gaze out across the canopy. Bliss. A beautiful hotel in the centre of Cape Town’s vibrant V&A Waterfront. Excellent service, sumptuous classic interiors, a great restaurant, trendy bar and its own spa. There are magnificent views of Table Mountain and the marina which can be enjoyed from the privacy of your own balcony. Romantic Break - Enjoy a couple's massage followed by drinks and dinner on your penthouse patio with Jacuzzi to boot! City Style - A perfect blend of African and European influnces, old and new, in a prime location. 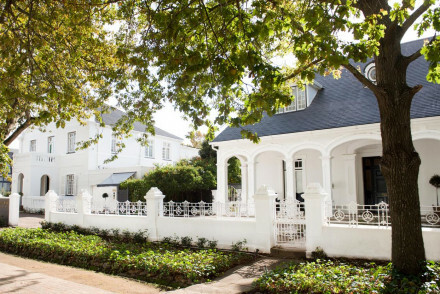 A pretty boutique guesthouse spread between two manor houses in Stellenbosch town centre. Chic and airy interiors are elegantly dressed with soft hues and dark wooden furniture. Boasting a lovely pool set in a pretty landscaped garden. A tranquil base to explore the region from. 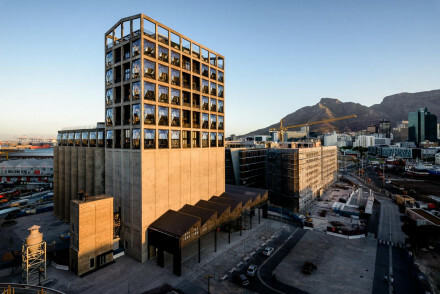 A former grain silo, this 28-bedroom hotel, is located on Cape Town's bustling Waterfront. The city's most hotly anticipated hotel it is a haven for the arts and 21st-century luxury. Each of its bedrooms is the height of lavish decor with bathrooms worthy of a ballroom, hence the hefty price tag. 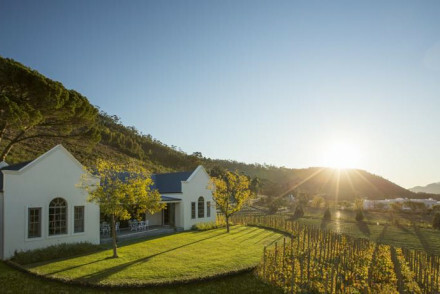 Nestled between magnificent mountains and the vineyards of Stellenbosch, offering a full-service spa, an on-site winery and choice of two critically acclaimed restaurants. Stunning views and gorgeous gardens surround the property. An ideal spot for foodies seeking a stylish country retreat.